Since completing his doctoral degree in Anthropology from Arizona State University in 1994, Dr. Abbott has immersed himself in conducting research and teaching at the university. His research focus is on the ancient pottery of central and southern Arizona. 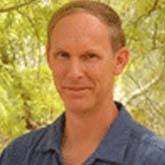 His work is dedicated to modeling the exchange and social networks that composed the prehistoric Hohokam regional system, investigating the impact of large-scale irrigation on sociocultural evolution and developing the unique contribution that ceramic research can make to the study of prehistoric communities. Dr. Abbott joined the ASU faculty in August of 2004 after spending 10 years as an independent consultant and research associate at the Arizona State Museum. As a professor, he has developed a course on research methods in archaeology that directly involves advanced undergraduates in his laboratory's on-going research and provides students with hands-on experience in all stages of the research process. In the future, Dr. Abbott anticipates developing undergraduate and graduate classes pertaining to quantitative research methods in archaeology, ceramics and Hohokam archaeology. Abbott, D. R., S. E. Ingram and B. Kober. 2006. Hohokam exchange and early classic period organization in Central Arizona: Focal villages or linear communities?. Journal of Field Archaeology 31(3):285-305. DOI: 10.1179/009346906791071909. Clark, J. J. and D. Abbott. 2017. Classic Period Hohokam. In: Mills, B. and S. Fowles eds., The Oxford Handbook fo Southwest Archaeology. Oxford University Press. DOI: 10.1093/oxfordhb/9780199978427.013.18. ISBN: 9780199978427. Abbott, D. R., S. E. Ingram and K. A. Spielmann. 2008. Warfare and farming: National Science Foundation research on the late prehistoric occupation of Perry Mesa. Pp. 20.1-20.11 In: Robinson, C. K., C. Breternitz and D. R. Mitchell eds., Prescott to Perry Mesa: 4,000 Years of Adaptation, Innovation, and Change in Central Arizona. Sharlot Hall Museum Press. Prescott. Abbott, D. R. and C. M. Meegan. 2005. Diversity and resilience at multiple scales: The expansion and collapse of the Hohokam regional system. Presentation at the 104th Annual Meeting of the American Anthropological Association, Washington, DC. Anderies, J. M., D. R. Abbott and S. E. Ingram. 2005. Diversity in subsistence strategies and transformation: The Hohokam of the Phoenix Basin. Presentation November at the American Anthropological Association Annual Meeting, Washington DC.